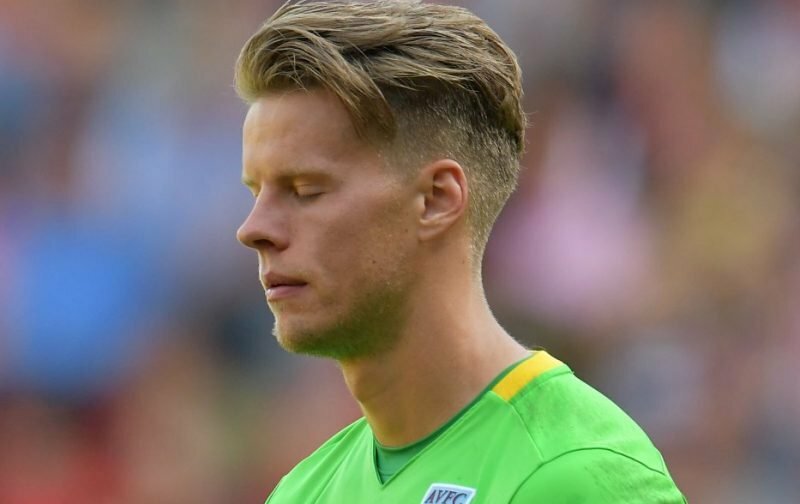 With Aston Villa goalkeeper Orjan Nyland slowly showing signs of improvement in recent matches, it was being reported late yesterday evening that the 28-year-old had unfortunately ruptured his Achilles during training on Sunday. With Villa looking to bounce back to winning ways after the Preston North End draw and looking to improve our more recent form, this news will obviously be a blow to head coach Dean Smith’s plans but with the January transfer window opening on Tuesday, we already know that Lovre Kalinic is set for an arrival. I believe Kalinic isn’t actually going to be registered in time for the Queens Park Rangers match at Villa Park on New Year’s Day (I have no idea why his registration won’t kick in that morning given the deal is already announced and confirmed) but it at least means the man Smith sees as being our potential number 1 is already effectively in the building and we don’t face a mad panic finding an alternative. Sometimes you just have to take the positives where you can. Depending on the severity of the injury as reports so far are pretty sparse, the Norwegian international could be out for the remainder of the campaign. Blow? Seriously? Best piece of news we could have going into the new year is this guy as far away from the 1st team as possible.